WHAT’S NEW: If you know anything about non-compete agreements in Massachusetts, you probably know they’ve been a flashpoint of debate more than once. The state legislature has spent almost a decade trying to decide whether to place statutory limits on the scope of non-compete clauses (also called “covenants not to compete”) in employment agreements. Back in 2016, it looked like a compromise on competing bills was close, but a final agreement never materialized. Last week, on April 17, 2018, a joint House/Senate committee reached agreement on disputed details and sent a new draft bill on for consideration. In this latest round, the new co-chairs of the Joint Committee on Labor and Workforce Development seem to have helped legislators reconcile differences between the six non-compete bills that were in play. Non-compete agreements are enforceable under the latest draft, which rejects the Senate bill that would have outlawed them altogether. It looks like Massachusetts will not be adopting the California model. In general, non-competes are enforceable only against more experienced, white collar employees. Under the proposed bill, non-exempt workers, students, and people under the age of 18 cannot be subject to a non-compete agreement. Some earlier drafts prohibited non-competes for lower-wage employees, but the overtime classification (exempt/non-exempt) won out as a distinguishing feature instead. Differing opinions on the maximum duration of non-compete agreements were reconciled in favor of employers. In previous draft bills, the maximum ranged from three months to a year. The new bill proposes a one-year limit. In another change from judicial decisions, the proposed bill says continued employment is not adequate consideration for a non-compete agreement entered into after the start of employment. That means an employer must give an ongoing employee something extra in exchange for the employee’s agreement to the restriction. NATIONAL AND GLOBAL CONTEXT: If the new law passes, Massachusetts will be positioned in the forefront of states, like Colorado, that place significant statutory constraints on non-compete agreements. But Massachusetts would remain in the mainstream, unlike California, a state with a big edge in the tech sector, and one where non-compete contracts are not enforceable against employees. The differing treatment of non-compete agreements in California is sometimes cited as one reason for Silicon Valley’s economic success. Many advocates for legislation limiting the use of non-competes in Massachusetts argue that it would help the state attract more high-tech activity. They might find reason for hope if the new bill is enacted into law. If the garden leave provision becomes law in Massachusetts, it would probably be the first of its kind in the United States. Garden leave is more common in the UK and EU, where it has a longer history. The concept has gained ground in the U.S. and has been adopted voluntarily by some employers. Particularly in our global economy, where the potential geographic scope of non-competes has expanded to include the whole world, it can be challenging for workers to find new employment that does not run afoul of a non-compete. Garden leave can be seen as an acknowledgement of that reality. Other, more technical provisions in the bill also offer a nod to the national and global economies. 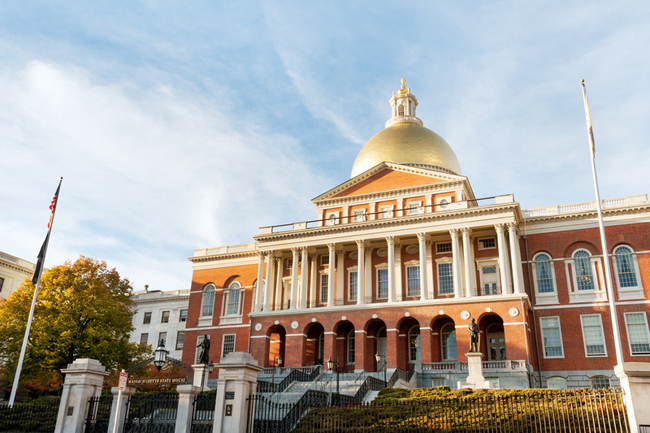 The bill would thwart the efforts of out-of-state employers to select their own states’ non-compete laws, thus guaranteeing that Massachusetts residents will have the benefit of these legislative limits. A contractual “choice of law” provision that selects the law of a different state for a non-compete agreement will not be enforceable against a Massachusetts resident. Similarly, lawsuits involving non-competes must be brought in courts where the employee, not the employer, resides. WHAT AN EMPLOYER SHOULD DO: For employers who use non-compete covenants, now might be a good time to examine whether their application is broader than necessary. More narrowly tailored non-competes, which have always had certain benefits, might become an imperative if legislation passes. Consider preparing for the possible added expense of garden leave, and look for alternatives to requiring non-exempt workers or students to sign non-competes. It remains to be seen if the Massachusetts legislature will pass this bill. Although their inaction has stretched over many years, they could fundamentally change the non-compete landscape with a single vote.